This week we’re thankful for Black Friday Madness, perfect selfies, hopping pets, touchbar hacks, and OK GO! Ready for some digital news? Of course you are. Now pour yourself a tall glass of the good stuff, nestle in for a few, and get ready for the weekend. Here are your Weekly Wins. Ever wonder how some people manage to take and share the most perfect selfies? Wonder no more, they’re probably using an app called FaceTune. FaceTune recently released a newer version of the selfie-improving photo app (appropriately named FaceTune 2) where selfie photographers can now manipulate everything from teeth whitening to smoothing out rough skin patches. In all seriousness though, the tech behind FaceTune 2 is actually quite impressive. App developers at Lightricks have essentially created a mobile beauty salon that can automatically identify and then manipulate areas of your face. Hopefully all of our US friends are having a wonderful start to their long weekends. Up here in the true north, we’re having a blast taking part in some of the celebration runoff from down south. Take for instance the Black Friday shopping experience. 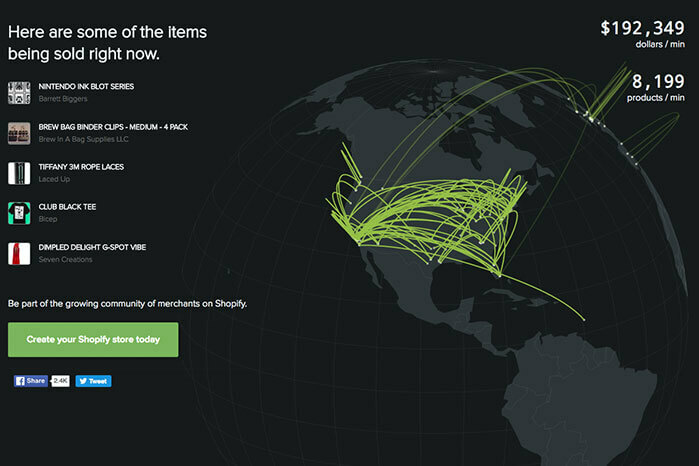 Shopify has created one heck of a site that tracks all of the online orders being made in real time. Shopping extravaganzas known as Black Friday and Cyber Monday not doing it for you? Maybe you can check out Giving Tuesday instead and learn how you can help some of the world’s charities. And finally, if you’re over the food, the celebration, the midday touch football games, and gravy, there’s really only one thing that can help you. Take a trip back to Stars Hallow and binge a few hours with the Gilmore Girls: A Year In The Life. Every year around this time you can be certain of a few things: the weather is going to get colder and UK department store John Lewis is going to make a video designed to tug extremely hard at your heartstrings. Well, we’re two for two. In year’s past, John Lewis has made ads that take us out of this world and ads that make us fall in love with penguins, but this year they’ve gone one step further. The latest ad tells the story of a dog on a trampoline, and it’s already spectacular as it is. But then people started showing their pets and the world has gone bonkers with reaction videos! A few weeks ago Apple released the brand new Macbook Pro. Along with some other fancy new features, the biggest addition is the all new Macbook Touch Bar. Touted as “a touch of genius,” the touch bar is designed to help users toggle between apps and literally replaces the function keys. But that’s not all. The handy new touch sensitive bar also helps you skip online pre-roll ads, preview and edit photos, and even create a tune in Garage Band without bringing up the full app on screen. And working faster with a more conveniently designed keyboard is great and all, but what about a real hack? Well, here’s someone playing the classic video game Doom on nothing but the Touch Bar all thanks to iOS developer Adam Bell. 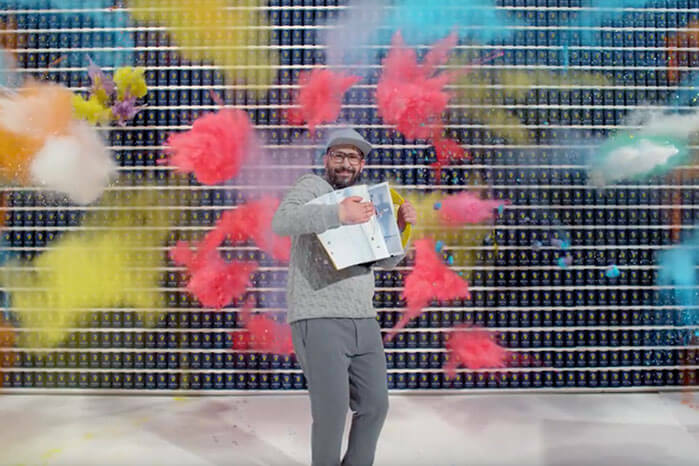 They captured our hearts with nothing more than a few treadmills and a catchy hook, but ever since OK Go!’s first video, they’ve constantly pushed the bar higher and higher. They’re latest video for the song The One Moment is a mathematical and artistic masterpiece. The entire video was shot in only 4.2 seconds, then slowed down and played underneath the lyrics to the entire song. In order to get all of the sequencing correctly timed, band member and music video director Damian Kulash Jr. had to make “a motherf*&%er of a spreadsheet.” It’s an incredible accomplishment both artistically and from a production standpoint, but now the question we all need to pose is… What’s next OK Go! ?